About | Black February, a film about Butch Morris. 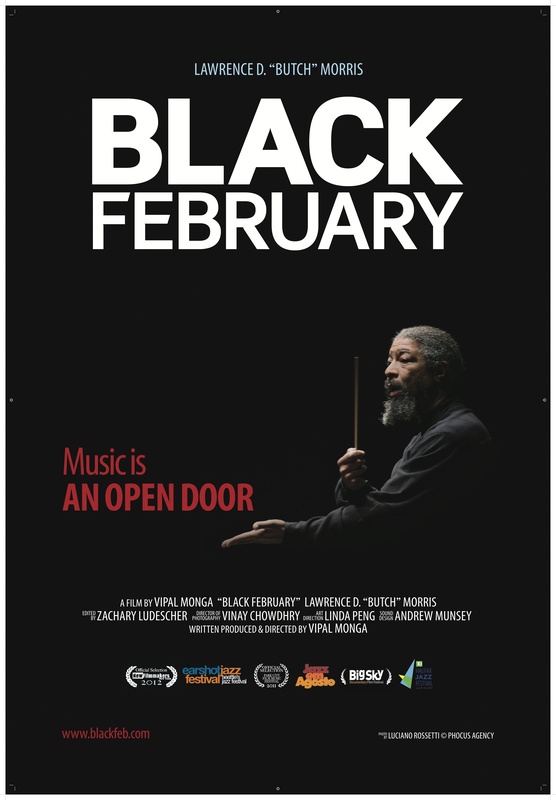 Lawrence D. “Butch” Morris, the legendary jazz composer and conductor, stars in Black February, Vipal Monga’s first feature-length documentary. The film documents an unprecedented series of concerts performed in February 2005 by Butch to celebrate the 20th anniversary of Conduction, his revolutionary technique for live music-making. Butch put on 44 performances in 28 days with 85 musicians pulled from all across New York’s musical community. Along with footage from these remarkable concerts that span a full range of musical styles from big band jazz to funk to electronic and symphonic works, the documentary features some of the leading lights of the New York creative-music community, including Henry Threadgill, JD Allen, Brandon Ross, Graham Haynes, Howard Mandel and Greg Tate. Although the film provides unique insight into New York’s vibrant avant-garde, Black February is more than a simple portrait of those 28 days, or a biography of an enigmatic and complex musical legend. It’s a film about the scope of a theory that is redefining what it means to make music. More than a testament to Butch’s place as a leading figure in the evolution of jazz or a glimpse into New York City’s dynamic musical counterculture, Black February is about the creative process and the struggles of all artists trying to distill the purest essence of themselves into their work.